U.S. Rep. Josh Gottheimer and U.S. Rep. Peter King of New York introduced a bill Thursday demanding an economic estimate and contingency plan for a “Doomsday” scenario, wherein one of the two North River Tunnels must be shut down beneath the Hudson River. According to the agency, the office will allow residents and others to get in touch with agency staff, explore job or business opportunities, and obtain information on the project, which aims to replace legacy infrastructure. 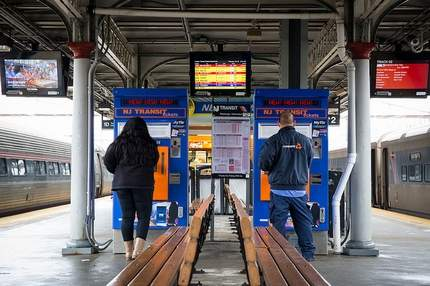 New Jersey Transit has received Federal Railroad Administration approval on its submission for the positive train control alternative schedule, which allows for full PTC implementation by the end of 2020. Gov. Phil Murphy promised commuters will know by the end of this week when they will see service restored to the three New Jersey Transit lines that have been out of commission since last fall for repairs. "This report brings the dire consequences of not building Gateway into harsh reality,” the Gateway trustees said Tuesday. Lineage Logistics announced Monday it has signed a definitive agreement to acquire Chatham-based Preferred Freezer Services. The acquisition makes Lineage the largest refrigerated warehousing and logistics provider in North America, and the world. Rail tickets and passes continue to be cross honored by Transit and Lakeland Bus Lines through the service day. New Jersey Transit and Amtrak have completed an early action construction contract which includes five major elements for the Portal North Bridge Replacement Program. Trustees of the Gateway Program Development Corp. announced Friday they have named Frank Sacr interim executive director and hired Suma Mandel as chief administrative officer. Riverside Drive and the Parkway Place exit in Edison are the worst in New Jersey as measured by drivers using handheld cell phones, according to data from Lytx. New Jersey Assemblymen Vince Mazzeo and John Armato are calling on the Department of Transportation to reopen the Atlantic City Rail Line, which has been closed for five months for the installation of positive train control.